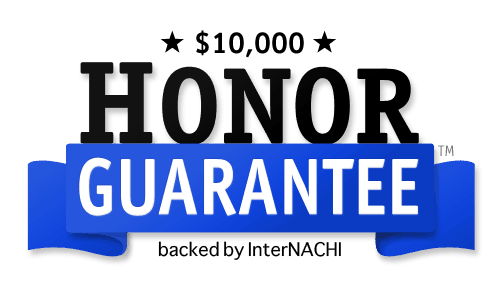 Every Maryland Inspection Includes a $10,000 Honor Guarantee! InterNACHI will pay up to US $10,000.00 (maximum collective aggregate) for the cost of replacement of personal property lost (and not recovered, restituted or insured) during an inspection and stolen by an InterNACHI-certified member of who had displayed the Honor Guarantee webseal (below) on his/her inspection business website and was convicted of or pled guilty (or no contest) to any criminal charge resulting from the member’s taking of the personal property. Claimant agrees that the exclusive venue for any action against InterNACHI arising out of this Honor Guarantee is the District Court in Boulder County, Colorado. 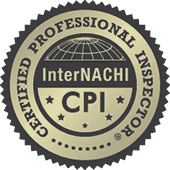 InterNACHI’s Honor Guarantee is valid in all of the U.S. and Canada. You can trust Absolute Assurance with all of your Home Inspection needs in the Baltimore – Annapolis area! 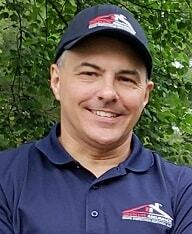 I want you to "Rest easy with Absolute Assurance!™"
Get scheduled today for a MD Inspection! We are a Maryland Home Inspection company based in Westminster and servicing the greater central Maryland region including Hagerstown, Frederick, Westminster, Baltimore, Towson, Bel Air, Glen Burnie, Annapolis, Bowie, Rockville, Columbia, ,and everywhere in between! You can count on us to provide you with prompt, courteous, and thorough home inspection services including home inspections, mold inspection and testing, radon testing, and more with easy and flexible scheduling options!